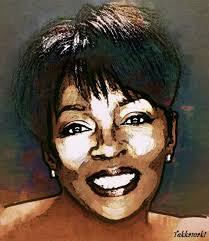 Anita Baker. . Wallpaper and background images in the Classic R&B Music club tagged: photo. A Vintage Concert Tour Poster From The "'60's"
2004 Michael Jackson Boxed Set, "The Ultimate Collection"
1980 Warner Brothers George Benson Release, "Give Me The Night"
1988 Rene Moore Debut Release, "Destination Love"
1985 DeBarge Motown Release, "Rhythm Of The Night"
"Martha Reeves And The Vandellas: Ultimate Collection"
1989 Columbia Johnny Mathis Release, "In The Still Of The Night"
1982 RCA Evelyn King Release, "Get Loose"
Aretha Franklin In The 1980 Film, "The Blues Brothers"
1987 Lisa Lisa And Cult Jam Release, "Spanish Fly"